CNC stamping / punching – kovo VESUV s.r.o. This machine can process metal sheets from 0,6 to 4,0 mm thick, with a max. dimension of 2500 x 1250 mm. The base of the machine is a wide open frame on which a movable table and trays with tools are placed. The final product has various shapes and it is intended for further processing. 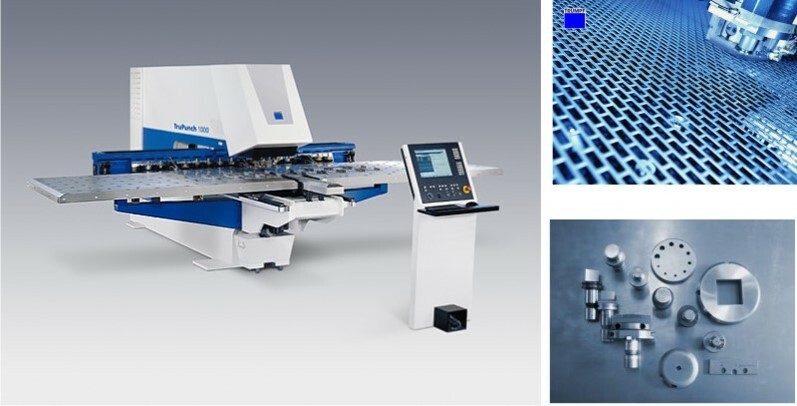 Apart from stamping / punching of various holes and edges, the TruPunch 1000 machine can carry out other forming operations – to stamp multiple holes, form ventilation holes, thread holes, make small bends etc. Everything depends on used tools that we design ourselves, and then we let them produce by specialized manufacturer.